Mill Town. | A Continuous Lean. Many of these scenes are familiar and many of these places are known, but that doesn’t make and of this less striking. 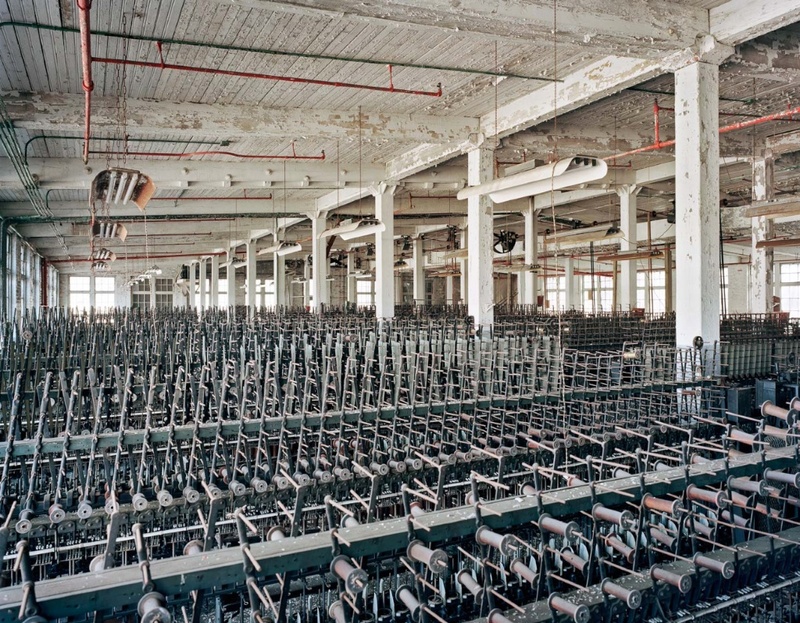 Photographer Christopher Payne set out to capture the landscapes and workrooms of America’s textile mills and factories. 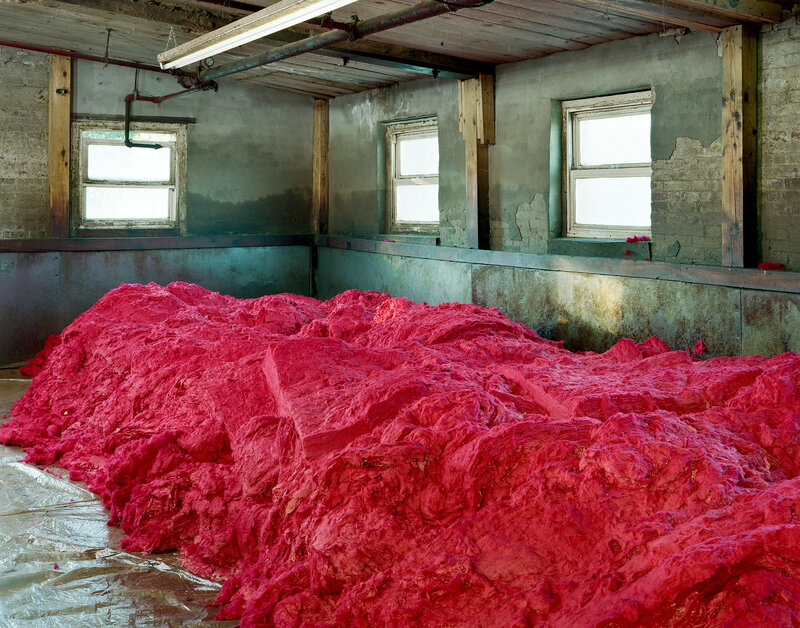 The scenes are intense and colorful, and may very well serve as a time-capsule portrait of an industrial complex which is nearing its last run. These photos and the photographer came to my attention recently through ‘Fruit of the Loom‘, a recent New York Times Magazine photo essay. 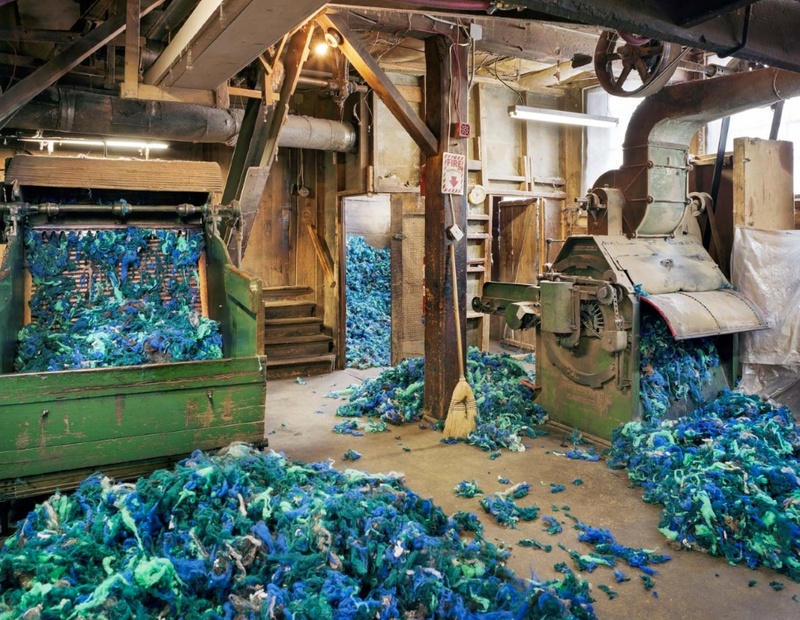 This textile photo series began when Christopher “stumbled on an old yarn mill in Maine” and was inspired by the old machinery and the small-scale manufacturing that is largely forgotten in America. Payne visits Woolrich in Pennsylvania, New England Shirt in Fall River and various other mills in-between, seeking the beautiful colors and symmetrical scenes that these seeming lost industrial holdovers present. 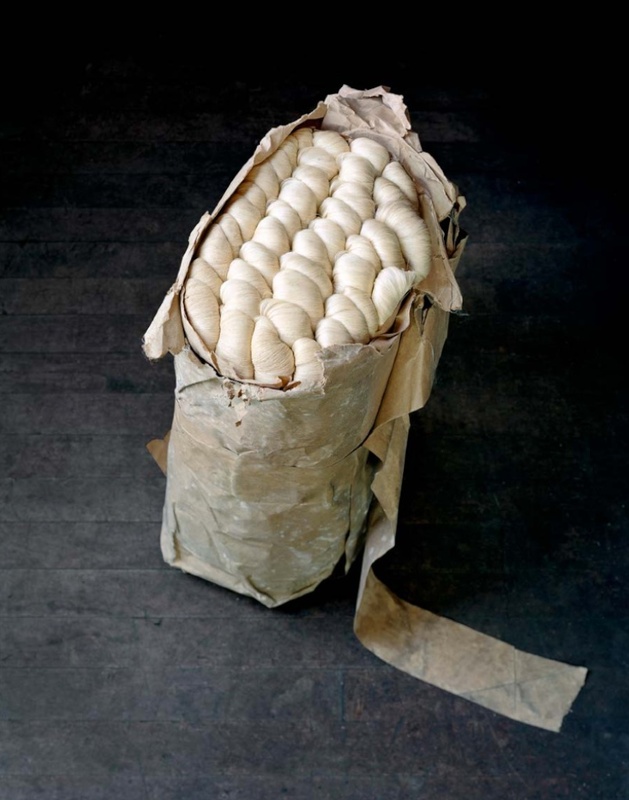 The sweeping brick textile factories that are part of this series were once a pillars of small town New England with the rivers naturally powering America’s industrial revolution. Looking for cheaper labor, the manufacturing drifted south to New York, New Jersey, Philadelphia and eventually all the way to the southern states. In the past several decades that race to the bottom has carried the lion’s share of this production much further afield. Though, through Christopher’s lens we realize that there’s enough left to give an alluring glimpse of what must have been way back when. I live in a millworkers neighborhood called Topsham Heights. The workers that are left are very old and their numbers are only a handful. As a resident of Topsham, Maine I benefit from their work ethic by way of my surroundings which they made their mark on. The mills are still here, re-purposed now but the exteriors are spectacular! Typical of any Maine mill town it’s located on a river, A pedestrian bridge was built between the humble neighborhood and the mill for the workers. The mills are closed yet they remain as does the footbridge. Urban renewal did not have the balls to take on these buildings. The bridge, known as the Swinging Bridge, is quite special. Built by the same firm that designed and built the Brooklyn Bridge. 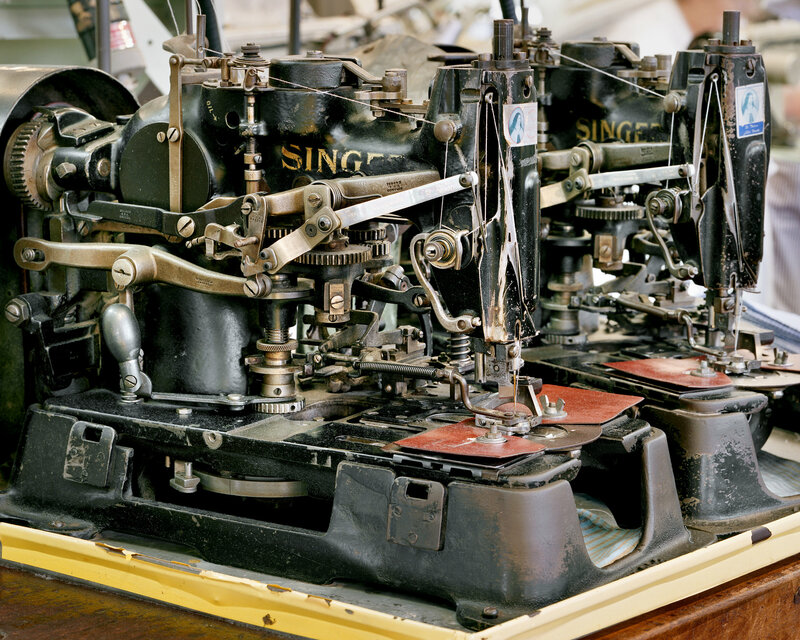 Even though the jobs, the skills, the machinery and the quality merchandise are no longer the evidence of their existence remains and cannot be extinguished. Ah, these bring back memories of huge wobbling, slapping belting leather belts overhead and whirring wheels and clacking looms. My parents bought their house from the owner of a chain of mills and I remember his taking us on a tour of these wonderful long halls of clatter and fluff and fabricâ€¦all 4 floors of entire huge brick structures humming and throbbing, all powered by the Mohawk River and adjacent Erie Canal feeders. It all went quiet by the mid-sixties and several were demolished within ten years; others still stand as ten-story warehouses. They made upholstery for Chrysler cars and other heavy duty fabrics and eventually went into ChrisCraft boat interiors. There is an old shoddy mill (shoddy was reclaimed fabric ground-up and steam-cleaned for reuse as batting in clothes, furniture, etc.) upriver from me and while touring it, I entered a rooftop room that was completely lined with sheets of galvanized metal. Piercing the metal over head was a hanging fixture that had collected fibers that apparently were blown into the room by an enormous steam-powered vacuum transfer system. What you see here are the hanging remnants, lit by flash, against the “tarnished” galvanized metal behind it, presumably in the lee of the blower’s stream. 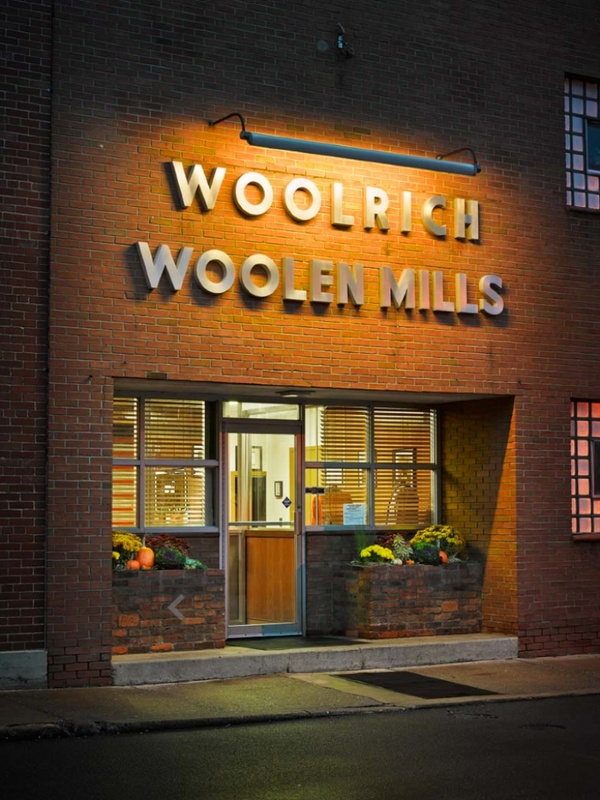 I’m kinda shocked Woolrich still has any factory of any type here in the US. I bought a coat for my wife last year, and one for myself. Both were made in Asia, and I had to re-sew all the buttons on my coat. Worse, the zipper is impossible to start, or use at all. Yeah what is the deal with Woolrich? I’ve heard they still make stuff in the US but I certainly don’t see it anywhere. They seem content to let the interest in USA menswear pass them by. Fortunately, on my last trip to Japan I picked up some great vintage made in the USA Woolrich jackets.